Longtime readers of this blog know that I’m a big fan of Apple and often (some would say too often) use them as an example of the right things to do. I’ve found myself doubting much of what’s happening at Apple over the last 12 – 18 months. Yesterday’s news about Apple and IBM teaming up for the creation of business apps finally put me across the line, to the point that I thought sharing my thoughts would be interesting and valuable to readers of this blog. While much has been written about the fact that Apple hasn’t released a game changer product in years, that’s not driving my concern (though I acknowledge that they appear to be on the road to becoming a reactive company). The concern I have is that they seem to be forgetting the fundamental cause of their success. It’s this issue that is instructive to small and mid-market executives. When Steve Jobs took over Apple for the second time, the first thing he did was to re-focus on the core of the business, and, more importantly, their core customer. This led to Jobs cutting many of the products in the development pipeline and taking significant write-offs in the process. Apple will get bigger by first getting smaller. We will focus on our core, and forever grow from our core. The rest, as they say is history. 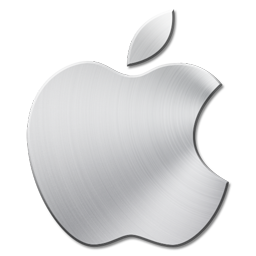 Multiple game changer products led to outstanding financial performance and Apple became both the best performing stock over a 10-year period and the most valuable company in the world. Since Tim Cook took over, the dominant question about Apple was can they sustain their success post-Jobs. While certainly the success formula was going to be tweaked, I took a very patient wait-and-see approach. What’s concerning is that Apple seems to be undoing much of what made them successful in the first place. The launch of the iPhone 5c was a pure land grab tactic, with Apple developing a product for the price conscious Chinese market. That effort seems to have failed. Apple’s purchase of Beats was also confusing to me. A brand that for decades defined cool and progressive was buying a brand because it was cool. This struck me as something that Microsoft would do. Apple, in their prime, would have built their own, not bought. Finally Apple’s announcement seems to be a major step towards losing what makes them special. Apple, post Jobs, never served multiple masters. Their customer was the end user who valued simple, elegant and powerful devices. They served the customer who wanted something special, and were willing to pay for it. Apple didn’t worry about the people who didn’t love them – they focused solely on growing those who do love them. In the famous words of Peter Sellers, “Not, anymore.” When companies do this, I call it losing their plot. The first law of creating demand is to know and understand your customer better than they know and understand themselves. This requires clearly defining and focusing on who your customer is. I say that’s the problem! You’re developing a second master (the corporate market). This master has lots of money, making them attractive, but they’re inherently cheap. You can build a great company serving that market, but I highly doubt you can build (or keep) a great company trying to serve them and the customers who got you there. I see SMB’s do this every day. In an effort to increase revenues in the short-term, they introduce complexity that halts their progress and threatens their profits and sustainability. While it’s tempting to take this path, and often feels good in the short-term, you’re far better off staying true to your core. Focus is critical to keeping complexity in check, which is crucial to a sustained growth track.